As dentists, our main goal is to preserve your natural teeth and keep them healthy for as long as possible. There are times, however, when it is in your best interest (or your child's) to have a tooth extracted (removed). This could be the case for a variety of reasons. Perhaps you have a tooth that has been severely damaged by trauma or decay; or an impacted wisdom tooth that may cause trouble for you later on. Maybe your teenager will soon undergo orthodontic treatment and has insignificant space for his adult teeth, referred to as crowding. Or your younger child has a baby tooth that's stubbornly adhering, even though it's past time for it to go. Still, tooth extraction is nothing to be feared when done by an experienced hand. Keep in mind that a tooth is not rigidly fixed in its surrounding bone, though that's how some may picture it. In fact, it is attached to the bone via a network of fibers that form what's known as the periodontal ligament. 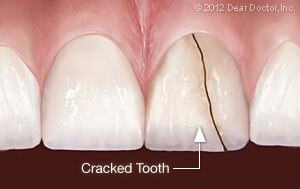 By carefully manipulating the tooth, we can dislodge these fibers and free the tooth without much trouble. 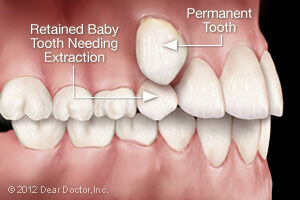 As mentioned above, there can be a variety of reasons for extracting a tooth. We are always happy to discuss the pros and cons of any dental treatment with you, including extraction. Trauma or Disease — In both of these situations, we can try to save the tooth in several ways. The damaged tooth might need a full-coverage crown, a root canal treatment, or both. But sometimes even these methods are not enough to keep the tooth functioning well and looking good; it might be better to remove the tooth and replace it with a strong and lifelike dental implant. The first step in any extraction is a radiographic (x-ray) examination to assess the position of the tooth roots and the condition of the surrounding bone. This will allow any possible complications to be anticipated. We take a thorough medical and drug history to ensure that you are healthy enough to undergo the procedure. We will also discuss the options for anesthesia. 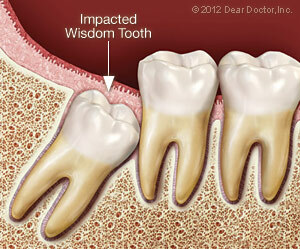 As we remove your tooth, we'll be very careful not to damage the bone that surrounds it. Sometimes, in the process of removing a tooth, we might want to put a small amount of lab-processed bone-grafting material into the socket to help preserve the bone volume there. This is particularly important when the extraction is going to be followed at some point by the placement of a dental implant, which needs to fuse to existing bone, or orthodontics, which gently moves teeth through bone. Immediately after your tooth is extracted, the socket will be covered with sterile gauze to apply gentle pressure for 10-20 minutes to control any bleeding. Small sutures (stitches) might also be used for this purpose. It's normal to experience some mild to moderate post-operative discomfort and/or swelling. Taking non-steroidal, anti-inflammatory drugs such as ibuprofen and/or aspirin the day of surgery should control most symptoms. We may also prescribe antibiotics for you to ensure infection-free healing. Using ice packs on the outside of your jaw, and eating softer foods until you feel more comfortable can also be helpful. Within a few days, all should be back to normal.